NEC’s official brand message, “Orchestrating a brighter world,” has multiple meanings, but it originated as a way to showcase our global identity and value as a provider of technology and solutions for a better society. We also promote this value by supporting altruistic causes and organizations. 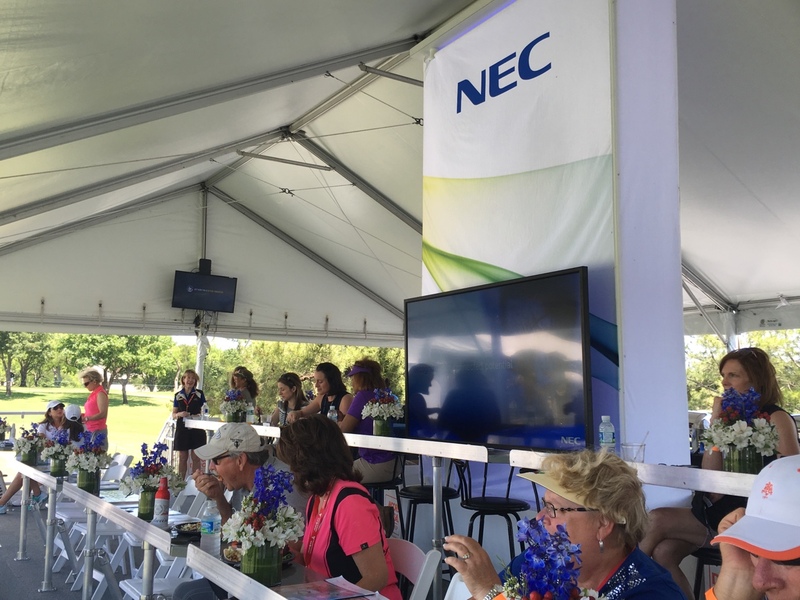 Our brand message was on full display as NEC Corporation of America was a primary sponsor and the proud Official Technology Partner of the Volunteers of America Texas Shootout LPGA Tour event, held April 26th through May 1st at the Las Colinas Country Club. It was an exciting event, especially for Jenny Shin, who claimed her first LPGA tour win with a two-stroke victory. Plano resident Gerina Piller tied for second place with Amy Yang and Mi Jung Hur. The Volunteers of America is a faith-based organization dedicated to helping those in need. The group provides affordable housing to low-income individuals, long-term nursing care for seniors, and human service programs for veterans, seniors, people with disabilities, at-risk youth, homeless individuals and families, men and women returning from prison, and those recovering from addictions. “The Volunteers of America Texas Shootout aligns with our company values and we are delighted to support a world-class sporting event that benefits the community where our employees live and work,” said Shinsuke (Shin) Takahashi, president and CEO of NEC Corporation of America. The Volunteers of America Texas Shootout is the only LPGA Tour event in the state of Texas and featured 19 of the top 20 female golfers in the world. The tournament also provided a unique opportunity for high school and college amateur female players to tee it up against the best players in the world through two qualifying “Shootouts.” The top two finishers from each shootout qualified for a spot in the Volunteers of America Texas Shootout. To volunteer or donate to the Volunteers of America, please click here. Hey Buddy!, I found this information for you: "OpenFlow Happenings: join us to learn about this transformative technology". Here is the website link: http://nectoday.com/openflow-happenings-join-us-to-learn-about-this-transformative-technology-2/. Thank you.